Harvest continues here at the farm and we just enjoyed our first batch of cranberry beans. The mother of a good friend gave us these beans to grow and we are glad she did. 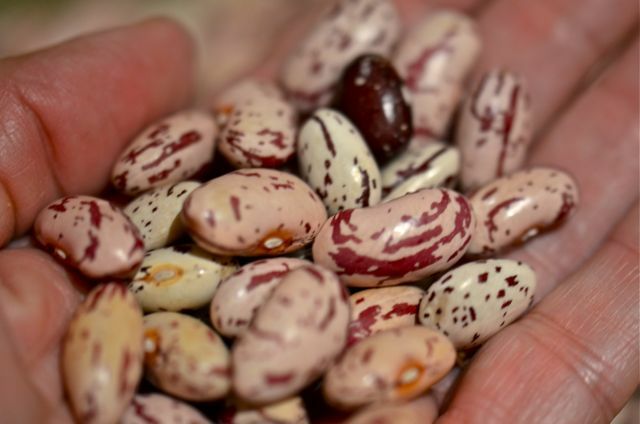 Not only are they beautiful, but the cranberry beans have great texture and a flavor with a hint of chestnuts. 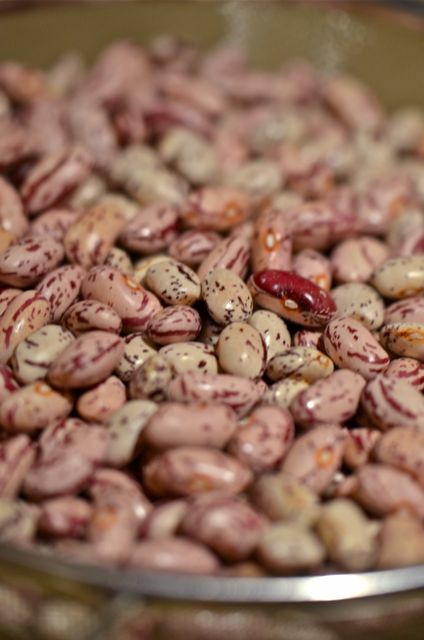 We picked the beans, dried them, shelled them and soaked them, so they did require more work than some of our crops. We made a cranberry bean purée with a bit of sage, potato, béchamel, olive oil and parmesan cheese, and it was a great dish (recipe soon). Well worth the effort. Otherwise, the season winds down, but we still have some pleasant surprises. 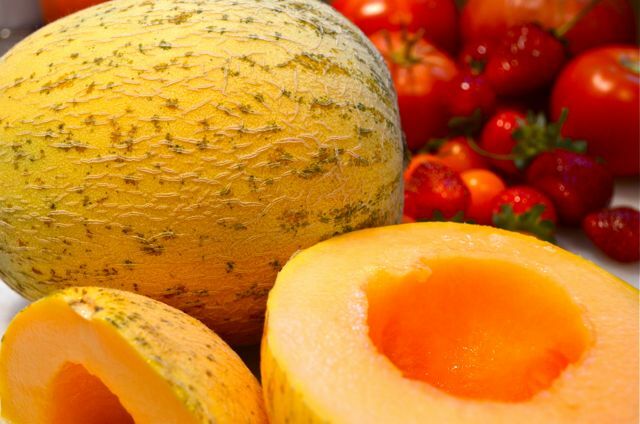 The melons are very tasty and the tomatoes are still ripe and sweet. We have a few days of heat coming so another good batch of tomatoes is likely. 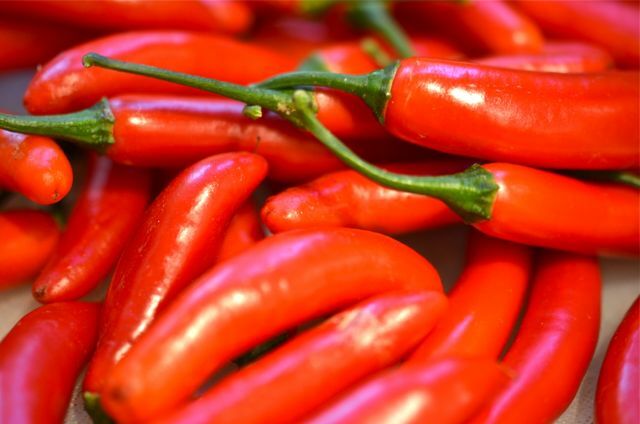 The strawberries thrive and the peppers move to red (and even hotter, if possible). A nice batch of potatoes is a bonus. In the orchard, the figs are pretty, but somewhat lacking in flavor, we will see what the heat does. And we wait for the Comice pears to ripen. They are close, but when the pears are ready, then so is winter. We can wait a little longer…. 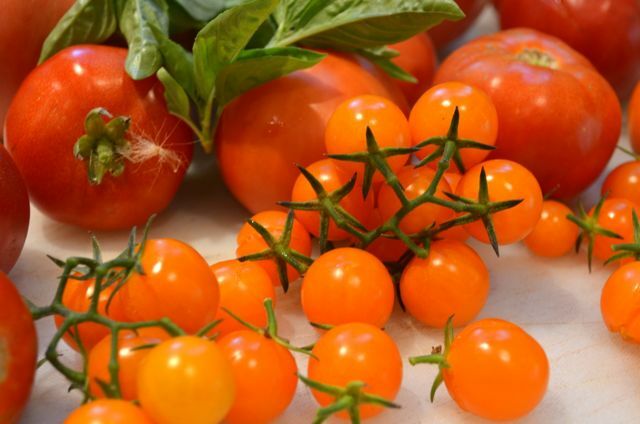 mmm, those tomatoes look sensational!! and those itty bitty potatoes?! i LOVE those things!!!! yum yum. how exciting. Thanks! 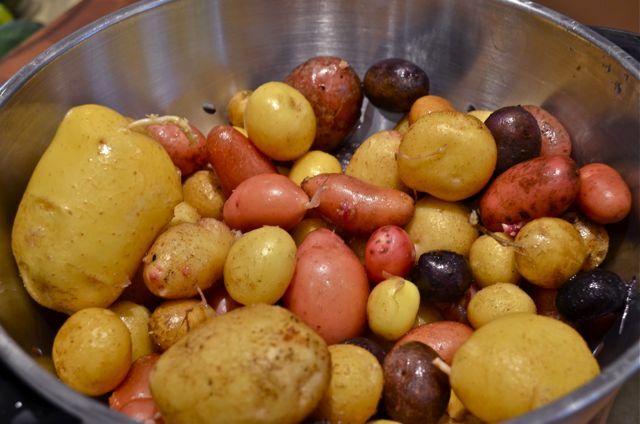 The marble potatoes are awesome- we just steam them with butter, salt and herbs…so good..
Those cranberry beans are cool! Cranberry beans! I’ve never heard of them. Do they actually have any relevance to cranberries? 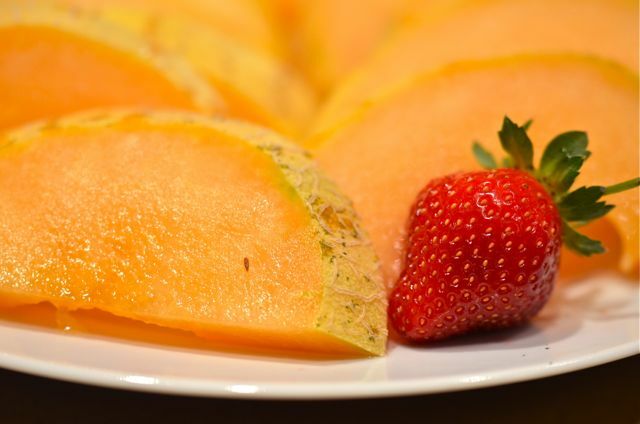 Beautiful, healthy and tempting. Figs is my favorite fruit – but so expensive over here … fig and strawberries on the same time ??? 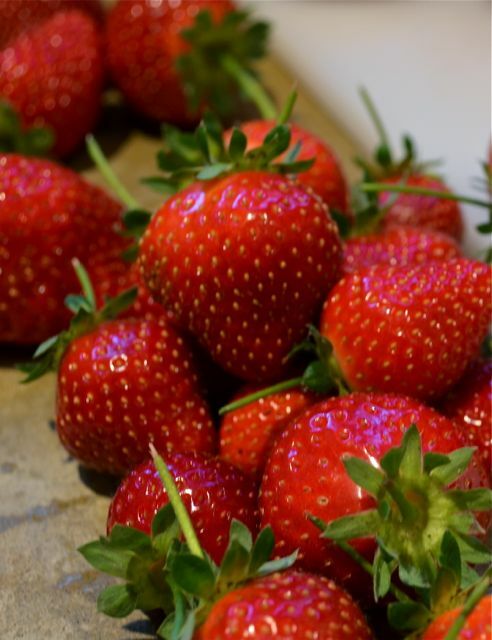 Thought the strawberry season was over – amazing photos .. as always. The beans are beautiful as quail eggs. Stunning post again. Thank you so much. Okay, didn’t know that … we can get green house strawberries from Holland and Spain, but they don’t taste anything. Learned something new today. I am an ACF certified Chef, since 2007. (Although I’ve worked in industry for 16 years now…) I am a new reader to your blog and I’m enjoying your posts very much. Your pictures are beautiful and your words are descriptive. As a Chef, I love to buy locally grown produce and herbs, as well as visit local dairy farms for artisan cheeses. I admire the hard work you put into your crops and can almost taste the freshness of the fruits and vegetables pictured above. Thank you for sharing.. I look forward to more.. Thanks for the visit and the kind words- they do mean a lot and we deeply appreciate you taking the time to comment. Incredible time of year. 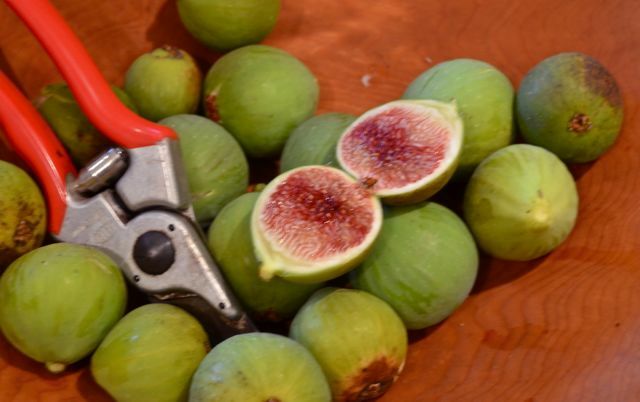 One thought on the figs… If they aren’t great fresh, maybe drying them? Or you couldn’t go wrong roasting with brown sugar!